Bitcoin Retracts; Will the Crypto Market Implode? Once again we’re at the middle of the week with Bitcoin’s USD value falling down after a climb upwards during the previous week. Whereas this time last year Bitcoin’s price was changing fast from one day to the next, for the past month the world’s number one cryptocurrency has been stuck between $6,300 and $6,700. And as the current market stats suggest, the price won’t be breaking over $7,000 anytime soon. In other news, a Mashable article was published yesterday that analyzes Bitcoin’s dependency on China. As the article explains, based on a research paper from the International University in Florida and Princeton, Bitcoin is very much in the hands of the local mining industry in China, which reportedly controls about 74% of the total hash rate of the cryptocurrency. The paper continues to outline the possibility of Chinese mining pools joining forces to launch a “51% attack” on the cryptocurrency, overtaking the Bitcoin network. Other ways of controlling or hindering Bitcoin are also outlined by the paper, such as the possibility of employing technical solutions to prevent transactions, “deanonymize” the network, or even completely destroy it. Even though the likelihood of such events is uncertain, what’s really worrying is that one collective entity has so much control over Bitcoin. 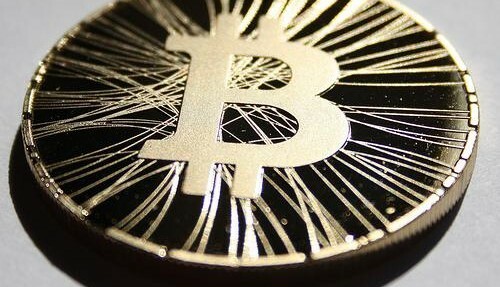 In the past seven days, Bitcoin’s price went from a low point of $6,478.45 last Thursday to reaching a peak of $6,665.61 on Monday afternoon, before falling down to a current value near $6,560.Throughout this period, the 24-volume moved between $3.4-4 billion while the current numbers show that it’s near $3.8 billon and rising again. As for the market capitalization, it has increased since last week, currently sitting at $113.5 billion. Our technical analysis shows that the market is once again bearish, just like last week, with 11 out of 12 oscillators and all 12 moving averages sending a “sell” signal. The SMA 100 has also dropped below the SMA 200, indicating there’s less resistance to the downward path. The 1 day chart shows that a triangle has been formed which is now nearing $6,500. The high volatility on short term charts (1 hour and 5 hours) suggests that the triangle will be confined between this range and $6,665 on a short term. As for the long term, the market still looks bearish, so keep your eyes out for any bigger drops. Are Cryptocurrencies Headed for an Implosion? Another doomsday scenario that gathered attention online in the past days was Bloomberg’s analysis of a possible implosion of the cryptocurrency market. In an article posted yesterday, Bloomberg calls upon the work of Juniper Research whose recent study warned that the metrics of the cryptocurrency industry are hinting that a market implosion might be coming in the future. The main arguments for such a dire prediction is the drop of interest in the crypto sector, particularly Bitcoin, which saw its 1-day transaction volumes drop from 360,000 per day near the end of 2017 to only 230,000 during last month, September 2018. Throughout the same period, the 1-day transaction values fell down from over $3.7 billion to below $670 million. Furthermore, the entire cryptocurrency market has also suffered as well during this time. Throughout the entire year of 2017 cryptocurrency transactions amounted to under $1.7 trillion, while the second quarter this year saw the market capitalization falling to $355 billion. According to the study, in the third quarter of 2018 a 47% drop in transaction values is expected, quarter-on-quarter, leading the researches to conclude that the market may be headed for an implosion.